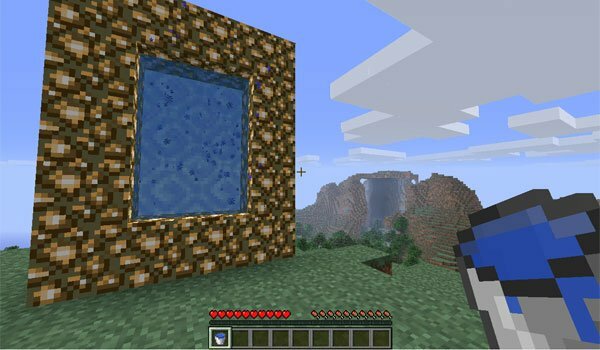 Comes back a mod that stopped its updates some time ago and was one of the most popular at the time, and with this second part becomes the world in the skies of Minecraft is back. Aether 2 Mod 1.12.2 and 1.11.2 is a mod that offers a new dimension, like the Nether, that would represent an underworld, but now, this is the opposite, a world in heaven. In contrast to the Nether, this new dimension you will have even more things, in fact you might even be able to live in this single dimension with the resources that are found there. In this new dimension you will find new dungeons, new mobs, some benevolent and other aggressive, new blocks, resources, trees, new minerals to develop tools and weapons with special abilities. Also in the inventory have new boxes that will allow you to equip new objects such as rings, shields and more. To access this dimension is required to craft a portal as you see in the image below, based on Glowstone and a bucket of water to activate the portal. How to install Aether 2 Mod for Minecraft 1.12 and 1.11? Paste the download files of “Orbis API” inside .minecraft / mods folder. Paste the mod downloaded file inside mod .minecraft / mods folder. Adventures are back in heaven!